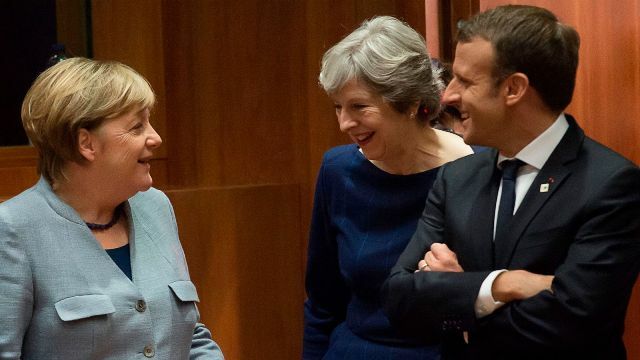 Agency, 9 April : Theresa May is to hold last-minute Brexit talks with the leaders of Germany and France later, four days before the UK is due to leave the EU. The prime minister will be at an emergency summit on Wednesday when all 28 EU states will vote on an extension. Cross-party talks aimed at breaking the impasse are also set to continue. The bill received its Royal Assent from the Queen on Monday night, and Commons Leader Andrea Leadsom told MPs that this meant there will be a government motion on Tuesday asking the House to approve the PM’s request to the EU to delay Brexit until 30 June. But the final decision on an extension lies with the EU – and the leaders of all the 27 other EU countries have to agree to a decide whether to grant or reject an extension. On Monday, Mrs May spoke by phone with the Dutch Prime Minister Mark Rutte, who said it was “crucial” for the EU’s members to know “when and on what basis” the UK will ratify the withdrawal deal.